Everything on your Twitter account is publicly visible to everyone by default i.e., anyone can see what media files and tweets you have posted. People can also follow and message you without your permission. In order to protect user's privacy, Twitter has added few security measures. Almost everything related to your privacy is now under your control. You can choose the audience you want to target. There is an option in settings which lets you make your Twitter profile private so that limited people, those who you approve manually, can only see your tweets. There are few other things you need to know. Here's a complete guide on this topic. 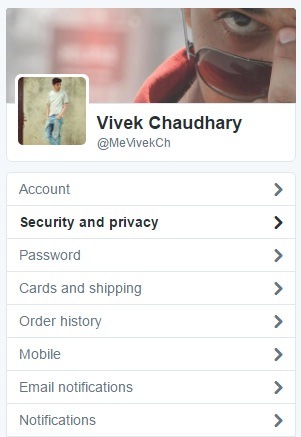 First login to your Twitter account and click profile picture avatar at the top-right corner of the screen. Next, click Settings option from the drop-down menu. 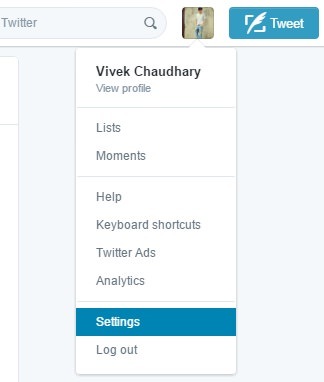 Now you will be on account settings page. From left sidebar menu, click "Security and privacy" option. Under tweet privacy section, tick mark "Protect my tweets" button. Finally tap the "Save Changes" button and that's it. No one will be able to see your tweets and media files, expect those who follows you. No one will be able to retweet your tweets, not even your followers. As like in case of Facebook friend request, when someone will follow you on Twitter, you'll have to approve or ignore his request manually. Your existing followers won't be affected in any way. However, if you don't want any person to see your profile, simply block him. People who don't follow you won't be able to see those tweets in which you'll mention them. For example, if you'll mention any celebrity, he won't be able to see that tweet as he isn't following you. Your tweets will not be visible in Twitter search and other third-party search engines like Google or Bing. Instead of making whole account private, Twitter should add an option for individual tweet privacy. It will be more meaningful. Why you shouldn't make your account private? Profile won't be visible in search engines - By default, your Twitter profile was indexed by all popular search engines like Google and Bing!. But when you make it private, it will disappear from search results page (SERP) due to content issue. Even tweets will be de-indexed from Google and there will find sudden drop in your profile's raking. Gives unprofessional touch - It leaves bad impression when people visits your profile and found that all your tweets are protected. To make your Twitter profile more professional and transparent, you should make everything public. Very less organic reach - As all your tweets are protected, so no one will be able to see them except your followers. There will be no use of hashtags and retweets also. thus your overall organic reach and post engagement will decrease. Less people will follow you - Of course, you'll find sharp change in your followers graph. It was found that people don't follow private accounts because they look more personal, rather than professional. 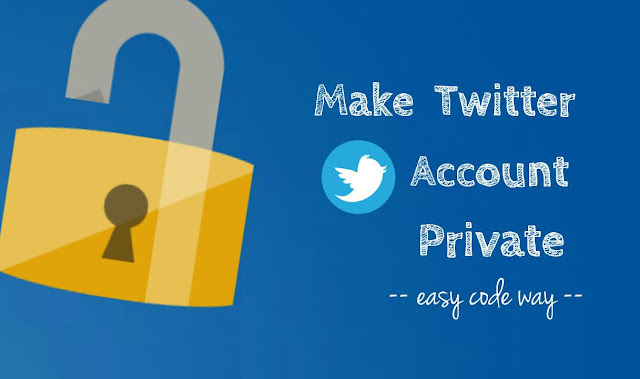 Your account privacy should be public, so that more and more people can follow you directly. At last I would like to conclude that, making your Twitter account private makes sense only when you want to use at personal level, not for business purpose. What's your point of view. If you have any doubts, feel free to share them in the below comment box.